Join us this year for the largest sailing race in the world, connecting sailing communities across the globe in an annual mass participation campaign: together we transform lives through sailing! Bart’s Bash is the flagship annual event of the Andrew Simpson Foundation, inspired by Olympic Gold and Silver medalist Andrew ‘Bart’ Simpson MBE who passionately believed that everyone should have the chance to try sailing and enjoy the many benefits that it brings. This person is going to be the main point of contact between your venue and the Bart’s Bash team for all notifications and information. Each venue will be able to register online here to receive the latest event updates, connect with your wider sailing community and customise your fundraising and race page. Use Bart’s Bash resources downloadable here to help you run your event and encourage your entire membership to participate in this global race. Ensure there is the usual team of race officers and safety crew, fully briefed on race requirements prior to the day. Encourage all of your club members to take part in this global race and be ranked amongst the world’s finest sailors! Use this opportunity to involve your wider local community by encouraging sign up from individuals who would not ordinarily actively participate in sailing. Send us all your results and supporting documents, including photos from the event within 10 days of the race. Make the most of your local press and shout about your clubs involvement as much as you can to encourage your community to come sailing! 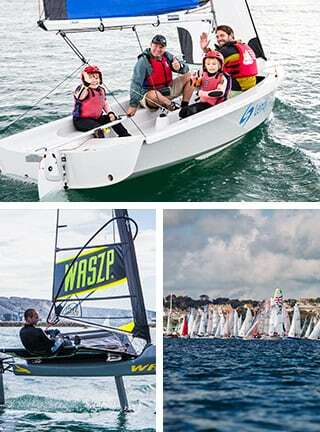 Bart’s Bash is the flagship annual event of the Andrew Simpson Foundation. We are inspired by the memory of Olympic Gold and Silver medallist Andrew ‘Bart’ Simpson MBE, who passionately believed that everyone should have the chance to try sailing and enjoy the many benefits that it brings. Use Bart’s Bash as your mass participation event platform and fundraise for the Andrew Simpson Foundation or your own club, venue or community project. Visit our Fundraising page for more information. Since its inception, the event has successfully raised funds for the ASF which in turn has helped a huge number of sailing projects in our local communities and across the world and we encourage our supporters to consider making a donation to the ASF. We'd love to hear about your experiences of taking part in Bart's Bash to date! Please send us your news and photos and we'll be updating this section all year round with stories of Bart's Bash taking place across the globe!